Within the majority of the world today, we as a supposed race of civilised beings have reached the time where we do not need to kill, exploit and eat the animals we share this beautiful planet with. Unless you are an Inuit living in the frozen expanses, or a tribe living where arable land is sparse and unmanageable, there really is no excuse whatsoever to partake and support mass slaughter of our fellow creatures. We have now reached an understanding, backed with factual scientific evidence that proves to not eat meat is healthier for us all, even though to become Vegan has to be about saving lives and not being a part of cruelty on a massive scale. How can anybody in this day and age possibly think its ok to eat another being, let alone wear the skin, its beyond belief and shows a total lack of compassion, empathy and humanity. The social conditioning of needing a staple diet of meat and two veg has long gone and was absurd anyway. Times are changing and whatever you believe, it is wrong to kill, slaughter, exploit and see the creatures we share this planet with as a commodity for us to ridicule and use. 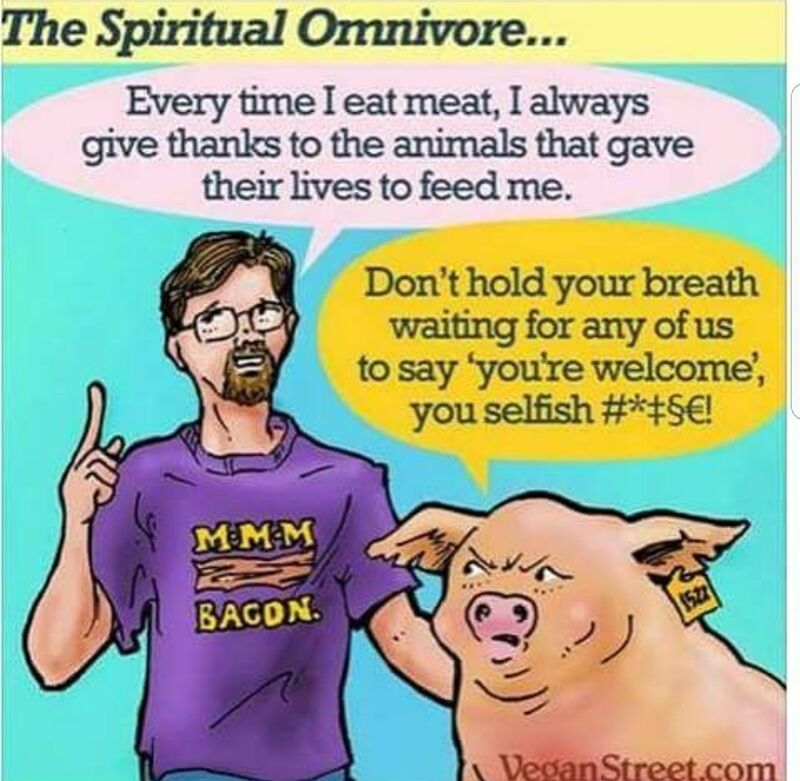 Come on peoples, sharpen your senses, escape the cycle of cruelty and exploitation of animals and make the transition to become meat, dairy and cruelty free, there really is no other way.